Wir riskieren den Blick auf ATS® mal von der geometrischen Seite. Ihr werdet eure moves vielleicht ganz neu erleben, Kombinationen überraschend und anders tanzen können und Formationen logischer begreifen können. Da finden sich Spiralen, Diagonalen, Geraden und alles folgt einem System. We risk the view of ATS® from the geometric side. You may be able to experience your moves in a completely new way, to be able to dance combinations in a surprising and different way and to understand formations more logically. There are spirals, diagonals, lines and everything follows a system. In diesem WS tauchen wir ganz in eine Stammeskultur ein. Diese Tanzform imitiert die Bewegungen einer Schlange. Wir spielen mit unserer „Serpentine“ in verschiedenen Rhythmen und Geschwindigkeiten und kombinieren die langsamen Bewegungen in Kombinationen. Der Kurs ist für jeden Tänzer geeignet, vom Anfänger bis zum Profi. In this class we will immerse into a tribal culture completely. Tribal belly dance is famous for its flexible and flowing movements. This dance form imitates the movements of a snake. The workshop will allow you either learning or recollecting basic slow movements. You will be able to feel the abilities of your body. We will play with our “serpentinity” in different rhythms and at different speeds and combine the slow movements in combinations. This workshop will give you the opportunity to work with your flexibility once again. The class will fit any dancer from beginners to professionals. Neue Gypsy Fusion von Eliana! Feurige Schritte, stolze Haltung, anmutige Arm- und Handbewegungen und feine Schultershimmies sind typisch für den Zigeunertanz. Und natürlich die leichtfüßigen Sprünge und Turns, eleganten Bewegungen mit dem Tuch und das temperamentvolle Spiel mit dem Rock werden bei dieser Russian Gypsy Choreo nicht fehlen! Lasst uns Wirbel, Wellen, Kaskaden mit unseren Röcken zaubern, sich frei und glücklich dem Zigeunertanz hingeben! Bitte einen weiten Rock und ein Schultertuch/Dreiecktuck mitbringen! Gypsy dance is known for its energy, freedom and passion! 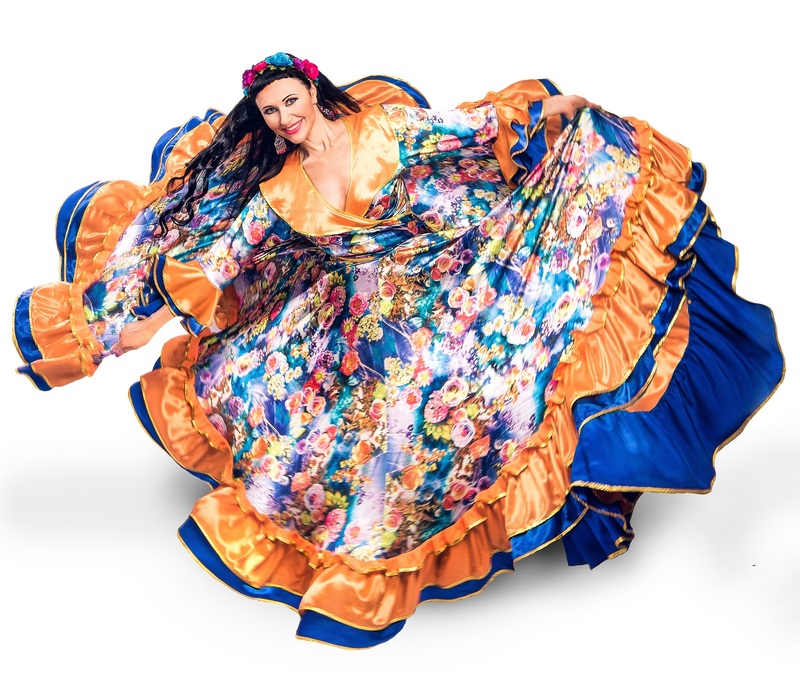 Eliana’s new gypsy fusion choreography includes fiery wide skirts swings, typical footwork, light-footed turns and jumps, graceful arm movements and shoulder shimmies. Let’s swing our skirts creating waves and curles! Please bring a wide skirt and a shawl (like Russian shawl or Spanish manton) for this workshop. 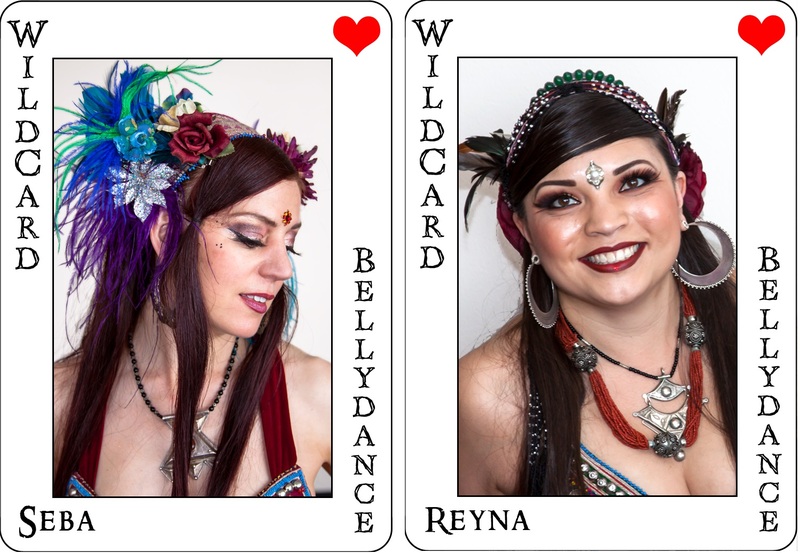 WildCard – Fast Moves I – Take a Spin on the Wild Side! Do you love to spin and want more options to play with? Or does the thought of spinning send you into a dizzy spiral? Then come Take a Spin on the Wild Side! One thing WildCard is best known for is their perfectly synchronized, dynamic spins. Nothing is more dramatic and beautiful than spins with skirts flying and swirling, pantaloons peeking out beneath, and all the dancers in perfect sync. Whether lightning fast or as a quick punctuation to slow moves, nailing a spin adds a certain wow factor that can’t be denied.This workshop will not just focus on the basics how to pull off a perfect spin with body and foot positioning, spotting and angling tips. You’ll learn some of the signature, crowd pleasing, 100% ATS® friendly spins WildCard is known for. Each and every WildCard dialect spin is cued out of a classic ATS® move and can be seamlessly integrated with any ATS® format immediately. We’ll cover WildCard’s cueing, counting, and traveling tips and we’ll build on easier-than-you-think concepts for keeping your spins clean and sharp. Whether facing the audience, in a circle, or in a duet facing, we’ll teach WildCard spins that both bring the wow and, as always, are ATS® friendly. Outstanding Fusion Choreo – Super fresh and original! All Levels willkommen! Wertet eure Tribal-Fusion Choreographien mit kreativen Elementen aus Tanzstilen wie Animation Base, Tutting, Popping, Waving, Flexing auf. Natasha zeigt hier unglaubliche BellyWork / Flutters & Nauli! Euch erwartet eine originelle „most fashion“ Tribal-Fusion-Bauchtanz Choreographie. Create most Fashion Tribal-Fusion Choreography with creative elements from such dance styles as Animation Base, Tutting, Popping, Waving, Flexing, and other elements that will be very useful to you and help you to be super fresh and original. Natasha shows you incredible BellyWork / Flutters & Nauli! 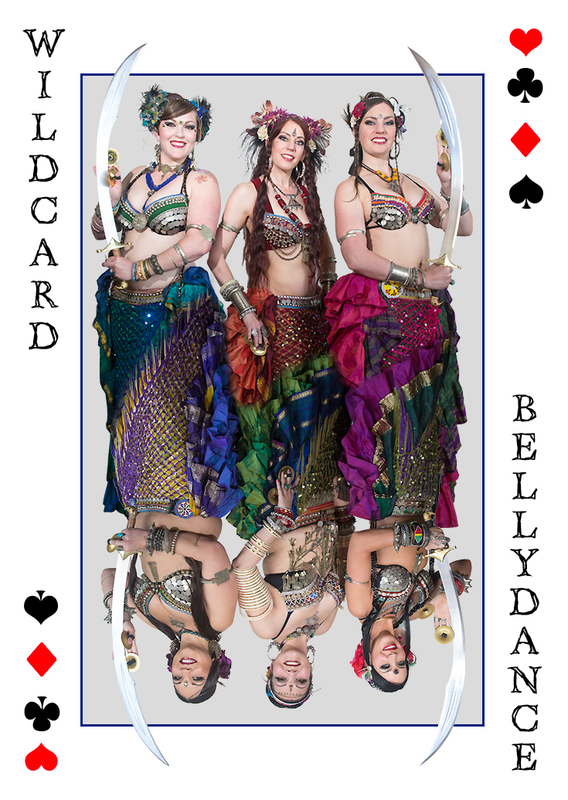 This is an original most fashion Tribal-Fusion Bellydance Choreography. Jazzig & frech! Fusion von Tribal und Swing/Jazz Tanztechnik und Schritten. Combos mit Hut und langen Handschuhen! Feminine Eleganz gemischt mit kabarettistischer Bühnenpräsentation & Ausdruck. Bitte lange Handschuhe und einen Hut mitbringen! Jazzy & sassy! Fusion of Tribal and Swing/Jazz dance technique and steps. 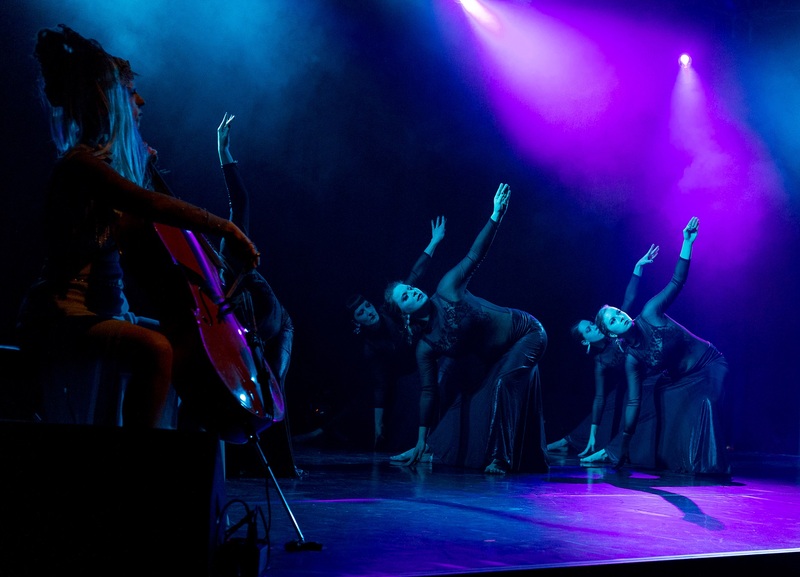 Feminine elegance mixed with cabaret style stage presentation & expression. Expand your dance vocabulary with WildCard’s favorite slow combos, fades and turns. We’ll share our tips and tricks for slowing it down while keeping your audience captivated. DakhaBrakha is my favorite music band. Their music is a magic mixture of the spirit of antiquity, the vigor of Ukrainian folk and modern tendencies. In this class we will add some Ukrainian soul, power and spice to the tribal fusion. It has been said, that all Ukrainian women are witches more or less. Let us remember it with the help of dance magic. The Video shows the Band, not Kira. So you can get an imagine of the style. Suhailas Einstellung zum Bauchtanz hat die Entwicklung des Bewegungsvokabulars stark beeinflusst. Sie war es, die Pops und Locks einführte, welche bei Stammesfusionstänzern so beliebt waren. Hier lernt ihr nicht nur, was das Format wirklich ausmacht, sondern auch, wie ihr davon profitieren könnt. Suhaila’s take on belly dance has had a profound influence on the development of the movement vocabulary. It was her who introduced pops and locks, so popular with tribal fusion dancers. Come and learn not only what the format really is about, but also how you can benefit from it even if you don’t become a regular student of the school. Vogueing ist Ende der 60er (in Harlem) entstanden und ist ein Zusammenspiel von Model-Posen & Tanz. Das Wort Vogueing/Vogue kommt von dem Magazin „VOGUE“. In diesem Workshop werden Teilnehmer die Kunst des Vogueings lernen (Modeling, Posing, Walking, Performance). Eines der Stile in Vogueing ist Vogue Fem – eine sehr feminine Art. Ihr lernt Basics, kleine Choreografien & die Geschichte des Voguiengs von Lorenzo Pignataro, einem wahren Profi. Der italienische Pole liebt das Tanzen und ist schon um den halben Kontinent gereist, um sich fortzubilden. Er stand auf vielen Show-, TV- & Festivalbühnen und darf bis heute seine Liebe zum Tanzen vermitteln, ob Profitänzern, Models oder Tanzschülern. Außerdem ist er als Juror (DAK, IVM, UDO) bekannt. Vogueing was created at the end of the 60s (in Harlem) and is an interplay of model poses & dance. The word Vogueing/Vogue comes from the magazine „VOGUE“. In this workshop participants will learn the art of vogueing (modeling, posing, walking, performance). One of the styles in Vogueing is Vogue Fem – a very feminine style. You learn Basics, small choreographies & the history of Voguieng from Lorenzo Pignataro, a real professional performer.